Calling performing arts professionals and organisations to submit your best and boldest ideas to take part in the Carlow Arts Festival 2017 LIVE WORK performance strand. The call is open to a wide range of traditional and emerging performative arts, including: Theatre, Dance, Music, Opera, Circus, Multi-Disciplinary Arts, Digital Arts, Participatory Projects, Performance Lectures, Multimedia Storytelling, Workshop-based Projects, Architecture, Politically Engaged Projects, Fashion, and more. The projects selected as the LIVE WORKS strand of Carlow Arts Festival will be presented during the 38th edition of the Carlow Arts Festival. We are seeking work that can be presented in non-traditional as well as traditional arts spaces, work of all scales, brand new work and work that can be adapted for the festival. Our focus is in the town of Carlow itself and the dates for 2017 are 7 – 13 June. Announcing SITE WORKS. 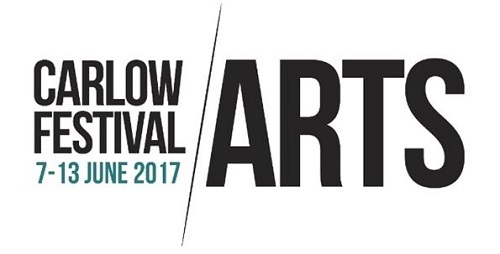 Carlow Arts Festival, in collaboration with Carlow County Council Arts Office announce an open call for temporary site-specific art works for the 2017 festival programme 7-13 June. An exceptional opportunity for artists working in all mediums, as individuals or as collaborators to propose ideas, to create or site existing work as part of Carlow Arts Festival 2017.A panel of artists and curators have been brought together to help with the development and delivery of this strand of the Carlow Arts Festival. Site Works 17 will be curated by Emma-Lucy O’ Brien and a panel of selectors to be announced. Announcing ART WORKS, the Carlow Arts Festival and VISUAL Carlow, Annual Open Submission and Art Award. Artists are invited to submit their work in any medium for selection. The 2017 exhibition will be presented entirely in VISUAL Carlow from 7 June – 3 September. All artists will receive an artists fee. Two awards The ART WORKS Hotron Award of €3000 will be presented for the most outstanding work in any medium and The Éigse Hotron Award of €1000 will be presented for work by a recent graduate (2015/2016/2017) selected for the most outstanding work in any medium. Click here for more information. This entry was posted on February 24, 2017 by waterfordarts in Art, Arts Council, Arts Opportunity, General, Performance and tagged Art opportunity, arts, Carlow, Carlow Festival, ireland, Performance, submissions.